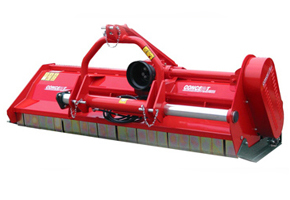 With hydraulic side shift, adjustable tailgate and rear roller, the TT flail mower is the versatile solution for heavy professional work. Rear roller with forged spherical ends. Optional fully adjustable rear castor wheels.